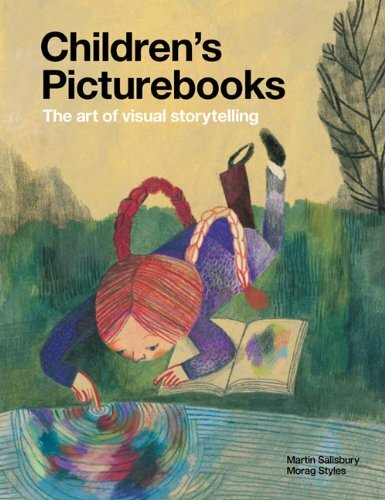 If you like art history of any kind, you’ll want to grab a copy of Children’s Picturebooks: The Art of Visual Storytelling by Martin Salisbury with Morag Styles. In this fascinating book published by Laurence King Publishing in 2012, readers explore the history of children’s picturebooks from the days of painting on cave walls through to the twenty-first century. It discusses picturebooks as an art form, citing the work of popular artists; it talks about their importance in children’s literature; and even touches upon controversial topics in picturebooks. When first asked to review this book a few years ago, I did so to learn more about my craft. Though I haven’t written anything brand new in a while, my first book was a picturebook and I have two more under contract. For this reason, the sections Print and Process and The Children’s Publishing Industry were especially interesting to me. Children’s Picturebooks: The Art of Visual Storytelling is a resource I’ll be holding onto and referring back to as I grow in my craft. I received a copy of this book directly from the publisher. This review contains my honest opinions, which I have not been compensated for in any way.